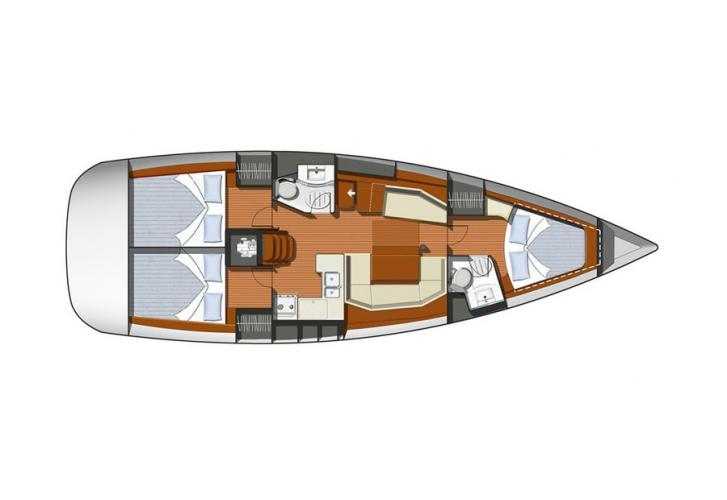 Sailboat Sun Odyssey 42i named ALEX has been produced in 2010. 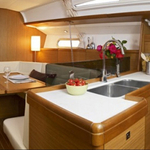 We propose this sailboat from marina Athens in the surrounding area of Athens. ALEX is licensed for 6 persons. 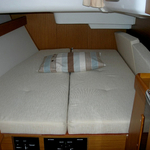 Layout of the sailing boat is 6. 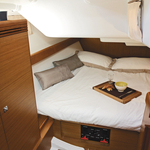 Sun Odyssey 42i ALEX is equipped with 3 cabins. For comfort of passengers there are 2 toilettes. With motor 54 ALEX can sail really fast. ALEX is 12.85 meters long and 4.13 meters wide. Depth is 2.13 meters. 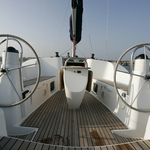 Search for other boats in this site: Yacht charter Athens. 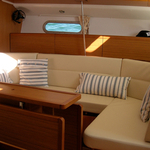 Vessel's equipment includes : Barbecue, Bimini top, Dinghy, Plotter gps in cockpit, Gps plotter, Autopilot, Outboard engine, Bed linen, Dvd, Mainsail with lazy jack. . Caution is at the level of 2500.00 EUR. Choose our offer and have good time on the deck of ALEX. 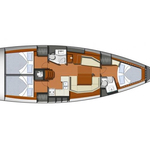 This Sun Odyssey 42i from Athens from Greece Find by opening this link here: Yacht charter Greece.